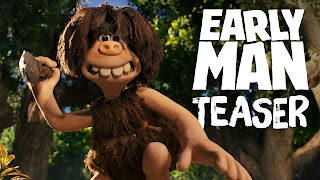 AARDMAN and STUDIOCANAL are pleased to reveal the first look teaser trailer for Nick Park’s new prehistoric comedy adventure EARLY MAN. 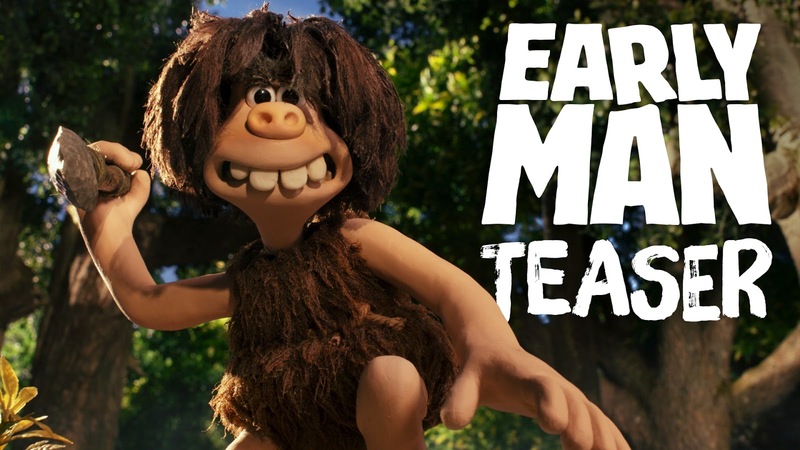 EARLY MAN is the new prehistoric comedy adventure from four-time Academy Award-winning director Nick Park and AARDMAN, the creators of WALLACE AND GROMIT and SHAUN THE SHEEP. Shot in Aardman’s own distinctive style, the film will take audiences on an extraordinary journey into an exciting new world unleashing an unforgettable tribe of unique and funny new characters voiced by an all-star British cast. EARLY MAN, currently filming in Bristol, continues the production partnership with AARDMAN and STUDIOCANAL following the success of SHAUN THE SHEEP MOVIE directed by Mark Burton and Richard Starzak. STUDIOCANAL is co-financing alongside the BFI (British Film Institute) and will distribute in its own territories, the UK, France, Germany, Australia and New Zealand, selling worldwide. The BFI (British Film Institute) is proud to support EARLY MAN with National Lottery funding.